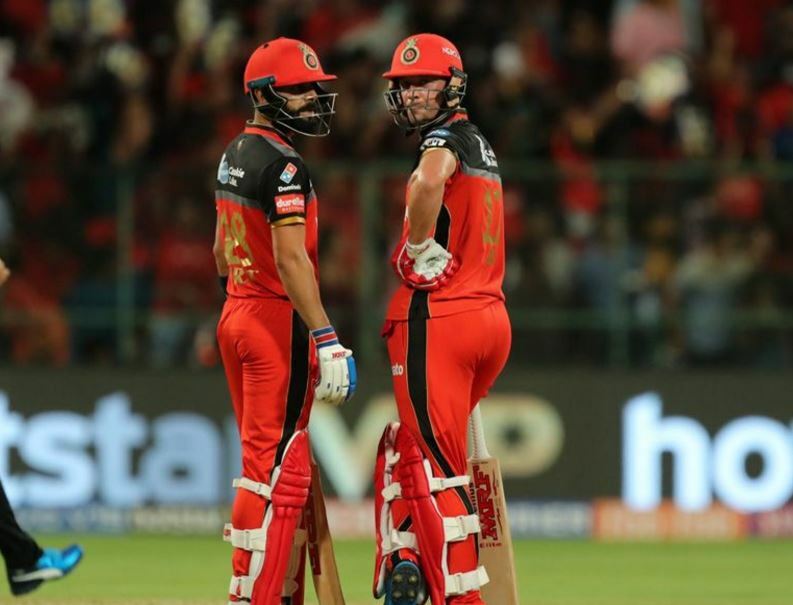 The Royal Challengers Bangalore (RCB) have started their journey with six consecutive losses in the 12th edition of IPL. Despite having the players like Virat Kohli and AB de Villiers, they have never won the title. However, finally, they have registered their first win over Kings XI Punjab (KXIP) on Saturday in Mohali on the back of crackling knocks from both Virat Kohli and AB de Villiers. Apart from their heroics, Yuzvendra Chahal and Navdeep Saini also performed well. After winning the match, both AB de Villiers and Virat Kohli was seen spending some fun time together. The two share respect for each other undoubtedly. After the completion of the match, de Villiers was seen asking questions while Kohli was answering them. During the conversation, when the question was asked how he was enjoying while playing alongside AB de Villiers, Virat Kohli gave a funny answer and revealed a secret as well. “Being ur neighbor this time in the hotel back home, it’s been the most lovely experience and the thing we look most forward to was your kids waking up in the morning & knocking our (Virat & Anushka’s) door & saying good morning to us every morning which is quite special,” – The 30-year old was quoted saying post match during the conversation. Royal Challengers Bangalore will face Mumbai Indians in their next game on Monday, April 15 at Wankhede Stadium in Mumbai. Virat Kohli and AB De Villiers both will certainly try to carry this momentum in the next game and keep the hope alive of qualifying for the playoff.